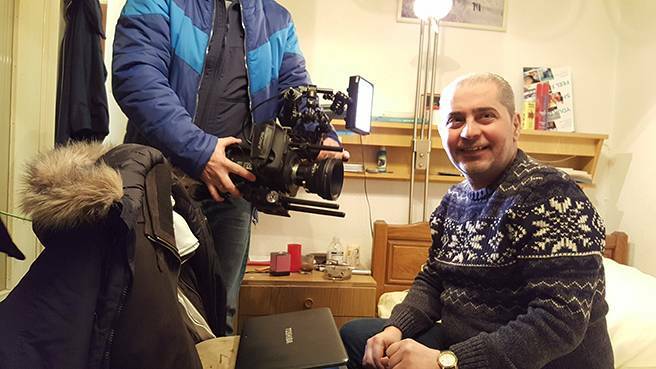 In a tiny hotel room in Frankfurt am Main (Germany) Euronews reporter Hans von der Brelie met the co-founder of the Syrian Human Rights League, Abdul Karim Rihawi. The civil rights activist has lived there for over two years. On his PC Abdul Karim Rihawi shows us the evidence on torturers and war criminals he gathered together with his civil human rights network still active undercover in Syria. He identified alleged torturers and war criminals, many of them living now in Germany. 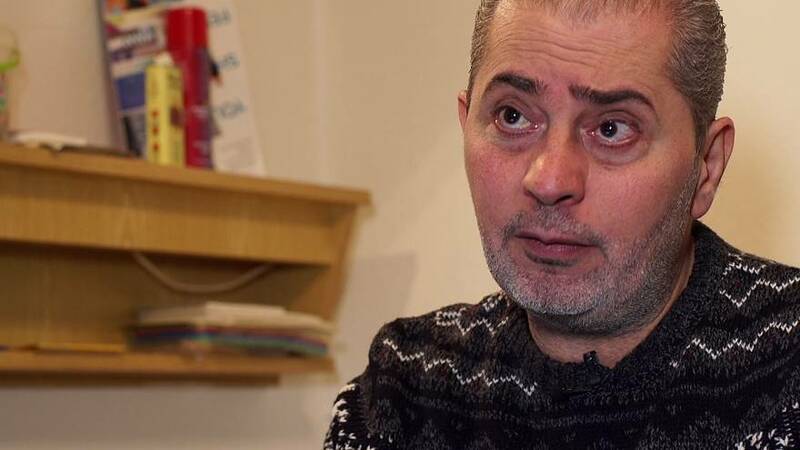 Before escaping from Syria Abdul Karim Rihawi was tortured in prison. When they got us to the toilet, there were dead bodies on the ground allover. How do you cooperate with German law inforcement authorities? We established lists of those murderers. Until now we have six lists, we delivered them to the German government. How many alleged torturers and war criminals from Syria are living in Germany today? There are at least 7,000 Syrian war criminals living all over Europe today. The highest number of them live in Germany, they arrived with the wave of refugees in 2015. Why did they leave Syria? Some of them believed that the regime was collapsing, they wanted to jump from the sinking boat, they wanted to enjoy life. That is making me very angry, they are enjoying their live here in Germany and they benefit from the law. But they are war criminals. Tell us about the evidence on your PC, please. In this photo we see this war criminal, his first name is Layth, he is part of a sectarian militia participating in killing and in massacres. He killed a lot of Syrians and he is very proud, showing off in this photo. He is very proudly standing on the dead bodies with his gun, posing as a hero. And he arrived to Germany seeking asylum and he got a residency permit for three years and he is living now in Cologne (Germany). There is another photo where we can see a member of a sectarian militia having fought for the pro-Assad regime. He participated in kidnapping and killing and torturing Syrians. And he too came to Germany as you can see on the next photo, showing him in Cologne, too. He is now living in good conditions and got also a residency permit for three years. Speaking about torture in Syrian prisons, do we speak about isolated cases or do we speak about widespread torture? Torture in Syria is very normal. It is an abnormal thing if you go to prison and nobody tortures you there, that would be very strange… Even at the checkpoints they torture people, even in the small police stations in the villages. Torture is very common. It is a very normal procedure, they start torturing first and start asking questions later. In Syria, torture is a habit, it is one of their tools to deal with the detainees. They torture to break the detainees and in most of the times it is just an innocent guy, knowing nothing, having nothing to say. But they force him to say something he did not commit. Torture is systemic. Torture is the way it goes in Syria. Did you get tortured yourself? Yes. They hung me from my hands, from the ceiling. They beat me with an iron stick. They beat me with cables, with their hands, with their legs. They use electricity, shocking sticks. The hardest moment comes when you hear the voices of those tortured outside your cell. When your torture session is finished and they bring you back to your cell and then all during all the night you still hear the voices of the people, begging or yelling or shouting under torture. This hurts. I was hearing the voice of a child, maybe 14 or 16 years old. He was crying for his father: Please, I need my dad, my dad… He was begging and they were torturing him badly. – And also when you see the dead bodies in the corridor, when they get us to the toilet we had to pass through the dead bodies on the ground. That was really terrible.